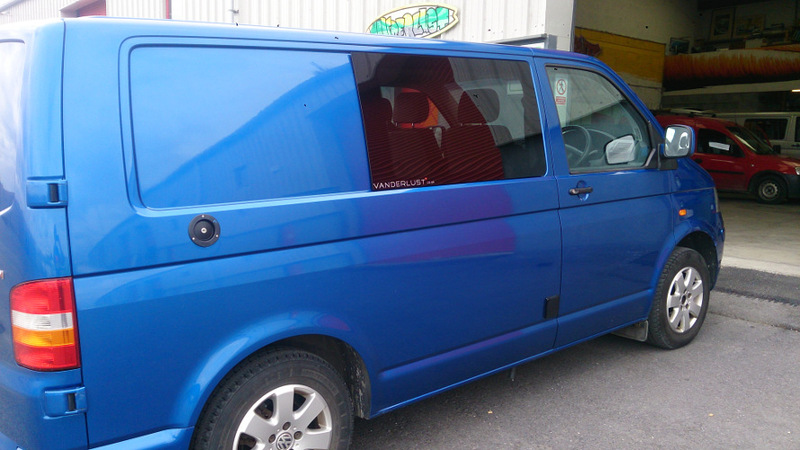 Our current entry level VW T5 SWB (Short Wheel Base) campervans are specially designed and built by Vanderlust conversions on the West Coast of Ireland. 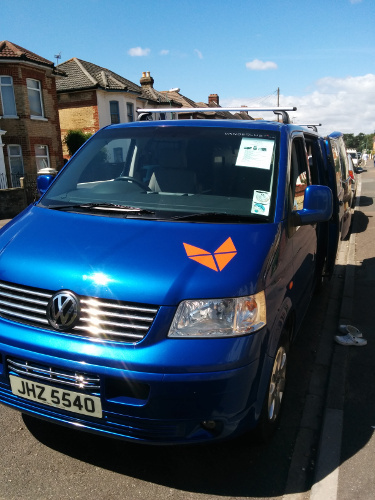 These campervans are compact, easy to drive and get over 500 miles from a tank of diesel. 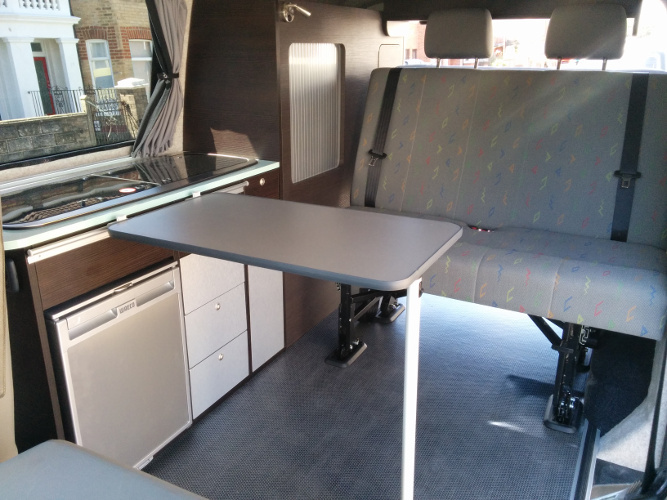 The campervan is based on a SWB and it is specially designed and converted by Vanderlust conversions ensuring they can meet all 4 seasons of the outdoor life. They come with an external cold shower unlike the 4 berth versions which have hot shower. These vans are compact but still offer the full living space to enjoy your road trip away for up to 2 adults. It offers spacious accommodation with a full size double Scopema RIB seat / bed, external shower and comfortable living space for your travels. All our campervans come complete with side awning or tent, roof rack and bike rack to carry your additional equipment. The practical cosy interior is equipped for all 4 seasons with a gas cooker, sink, fridge, seating for 4 people and a full size double bed. 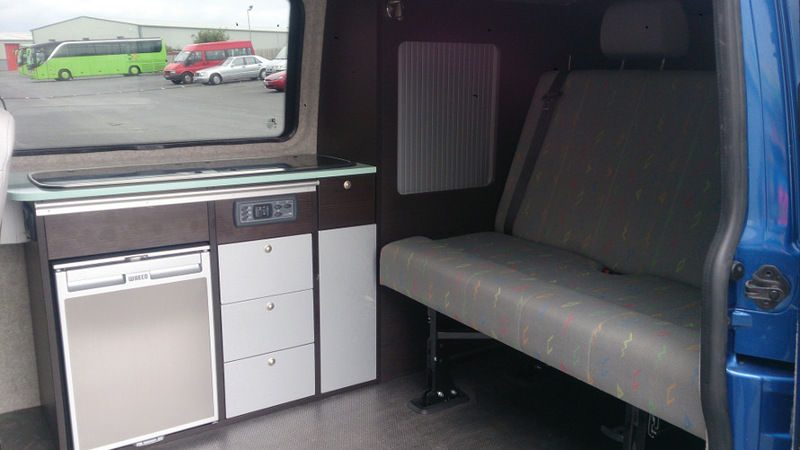 Each campervan comes fully equipped with kitchen utensils and cleaning products. 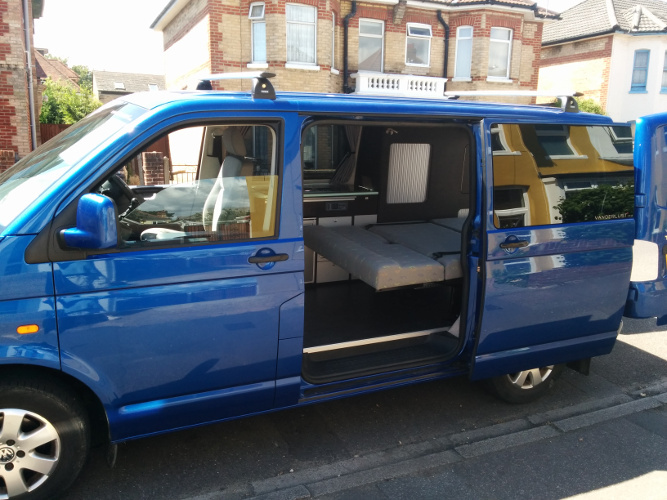 6 speed manual, SWB VW T5 2.5 TDI diesel, power steering, ABS, driver's airbag, central locking, AM/FM Radio, CD / player, Sat Nav, TV with freeview, 3 burner gas hob, Fridge, 240v at campsites, 12v leisure battery, voltmeter, battery charger, cold running water, external cold shower, fresh water tank and waste water. 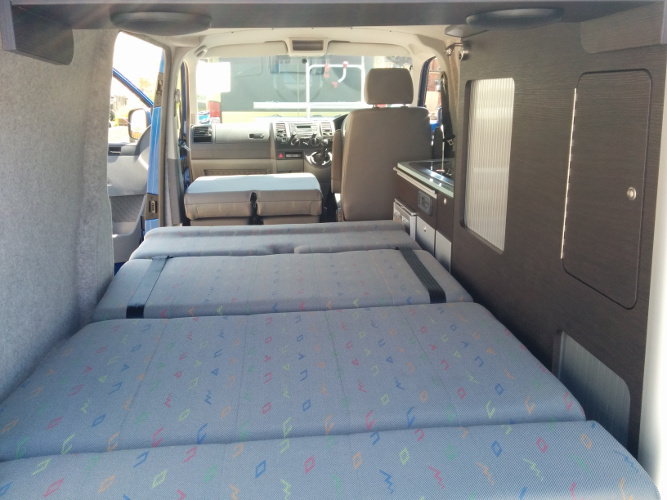 Vanderlust UK VW T5 SWB campervans are supplied with living and cooking equipment but exclude bedding which is an additional extra. You can use your own personal equipment and bedding to reduce the overall costs OR take advantage of the rental equipment available from Vanderlust UK.